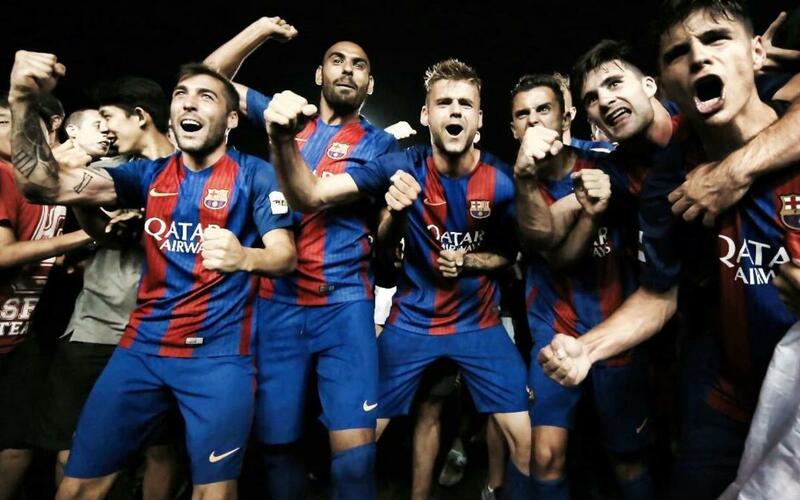 Victory over Racing de Santander in the play-off final means Barça B have secured promotion to Division 2A for the sixth time in their history. The most recent one prior to Sunday's success was in 2009/2010 with Luis Enrique as coach and the first team’s Sergi Roberto in the side. Next season will be the 23rd time Barça’s second team will play in the second highest division in Spain. There are four survivors from the team who were relegated two season ago, with Gumbau, Palencia, José Suárez and Kaptoum staying to help Barça B get back into the division after a two-year absence. The promotion is also the manager Gerard López’s first in his two years as coach of Barça B. His team has recorded figures of 27 wins, eight draws and nine defeats in this season’s 44 games with an impressive 90 goals for and only 36 against.